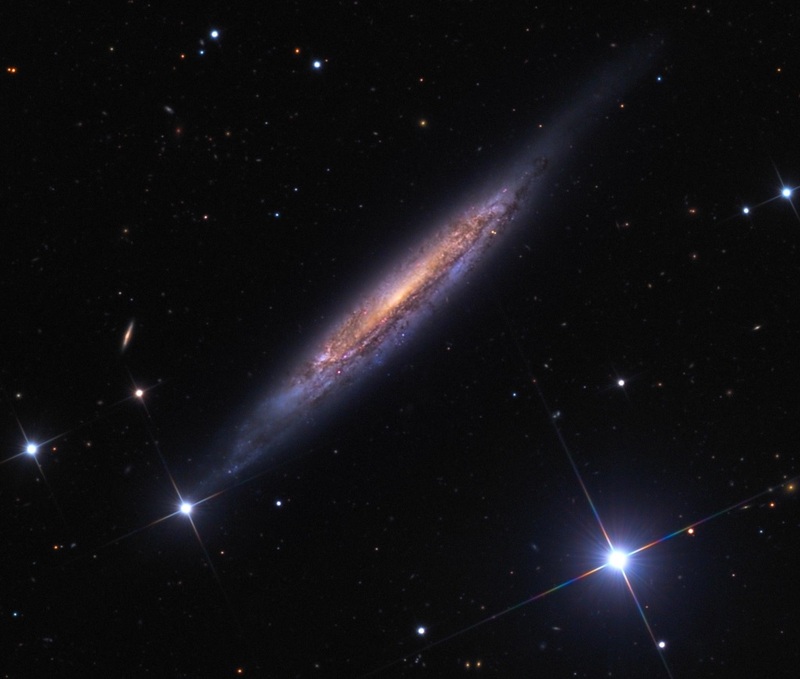 Three supernova explosions occurred in this galaxy: SN 1937A, SN 1955A and SN 2003J which was a Type II supernova. A Type II supernova results from the rapid collapse and violent explosion of a massive star. A star must have at least 8 times, and no more than 40–50 times the mass of the Sun for this type of explosion. It is distinguished from other types of supernova by the presence of hydrogen in its spectrum. The exploding star can become billions of times as bright as the Sun before gradually fading from view. At its maximum brightness, the exploded star may outshine an entire galaxy. Supernova explosions are enriching the intergalactic gas with heavy chemical elements like oxygen, iron and silicon, necessary to build new generations of stars and planets, and to create life. This image was taken in March and April, 2012 with a SBIG STX16803 CCD Camera at the 32-inch Schulman Telescope (RCOS) on the Mount Lemmon SkyCenter, using Mount Lemmon SkyCenter filters.